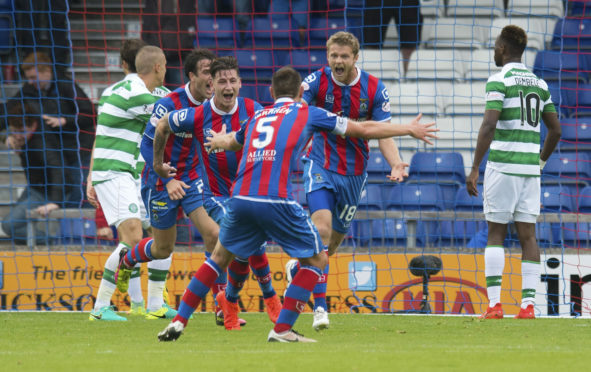 Alex Fisher runs to Gary Warren after his equaliser against Celtic in August 2016. 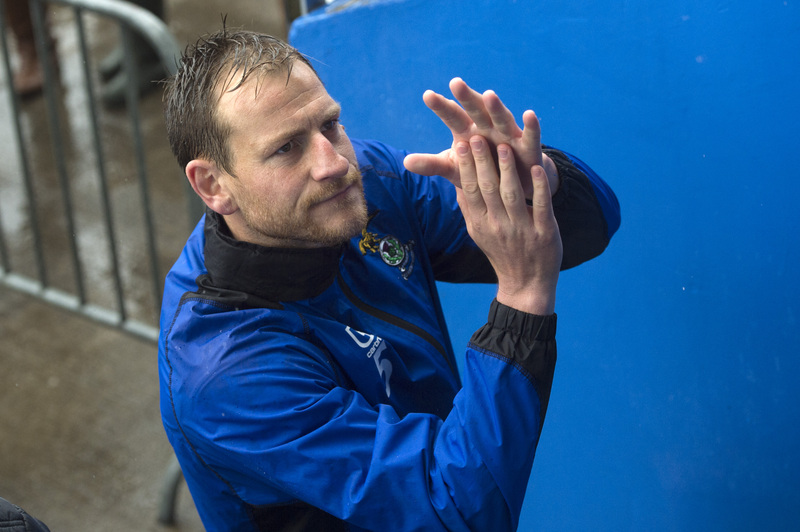 When Alex Fisher was reunited with Gary Warren at Yeovil Town, it was glove at first sight. After 18 months apart, following Fisher’s departure from Caley Thistle, they were reacquainted with the Glovers when Warren made the mammoth journey south over the summer. Rather than taking a while to catch-up, it has been just like old times for the two former Inverness team-mates. A mutual love of cricket and The Office gives them plenty to mull over and Fisher is only too happy to have Warren back alongside him. He said: “When he first came down it was like I’d only seen him the last week. I have missed him since he’s been away and we have more similar interests than we realised. “Both of us like our cricket but we never got to watch a Somerset game last season. But where Gary lives now in Taunton, there’s a great ground where Somerset play and hopefully after training, when the new season starts, we can get to a couple of games. Former Caley Thistle captain Gary Warren. Social activities aside, Warren’s qualities around the football club were something Fisher was bowled over by once again. He added: “He’s brilliant on and off the pitch. A lot of people don’t know what he achieved at Inverness but I have a huge respect for the guy. I know how he plays with the ball at his feet, which means I can make runs a second or two earlier because we have that knowledge having played together for 18 months. The pair have been regulars for Yeovil this season and until a recent groin injury, Fisher had been on target to reach a personal goal of 10 goals before Christmas and he captained the team – in Warren’s absence – in an EFL Trophy tie against Bristol Rovers. Fisher said: “My best mate in the game is James Clark, who I grew up with at Oxford, and he was captain for the first time for Bristol Rovers. We saw each other in the tunnel and couldn’t believe it. It’s a cherished memory and a real achievement for myself. 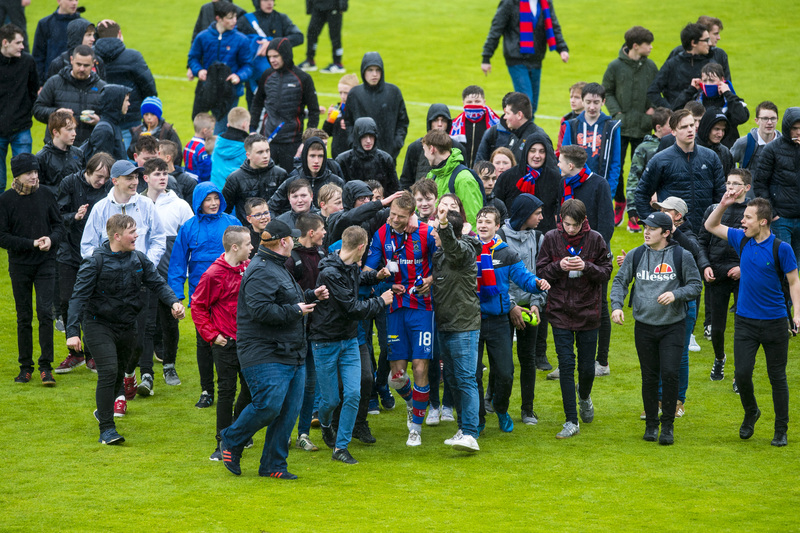 Alex Fisher is mobbed by Caley Thistle fans after their relegation. Fisher joined the Glovers in January, making his debut against Manchester United in an FA Cup tie after leaving Motherwell earlier in the day. He had joined ‘Well from Caley Thistle after their relegation to the Championship in the summer of 2017 and Scotland is a place he still has a fondness for. He added: “I still speak to David Raven, Ross Draper, Scott Boden and Iain Vigurs. Even if it’s not necessarily keeping in touch with guys, if you see someone posting something online about a big moment you’re only a comment away. Like Josh Meekings when he had his operation, I sent him a message.